Read the Merck KGaA’s full case study to learn the roll out and internal marketing strategy they used to implement people analytics across their global organization. The post Merck KGaA: A Case Study for Organization-Wide People Analytics appeared first on Visier Inc.
Extended DISC Case StudiesCOMPANY PROFILE. Barry-Wehmiller began in 1885 as a small midwestern-USA-based pasteurizer and bottle washer business. 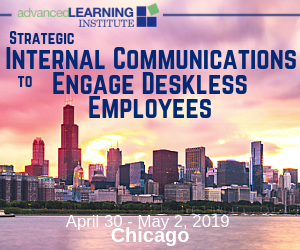 In this webinar, we are going to review all of the reasons for completely eliminating this archaic practice, what to do in its stead, and look at some case studies of the successful leveraging of new practices that are embraced by both line managers and team members alike. Extended DISC Case Studies HealthcareCOMPANY PROFILE. The Westchester Medical Center Health Network (WMCHealth) is a 1,700-bed healthcare system headquartered in Valhalla, New York, with 10 hospitals on 8 campuses spanning 6,200 square miles of the Hudson Valley. Case Studies Extended DISCCOMPANY PROFILE. US Cellular is the fifth-largest full-service wireless carrier in the United States, providing national network coverage and industry-leading innovation designed to elevate the customer experience. Extended DISC Case StudiesCOMPANY PROFILE. Supplemental Health Care’s mission is to be the bridge between client facilities and healthcare professionals, by finding the right person for the job and the right job for the person, to help facilitate the delivery of quality healthcare. HR has an incredible opportunity to use badges to help attract, engage, recognize and develop talent. There have been significant developments around digital credentials and particularly the fast rise of badges and micro-credentials. Case Studies case study company growth employee feedback internal communication status reports time managementEvery company has growing pains , especially as they reach certain size thresholds. Case Studies Extended DISC HealthcareCOMPANY PROFILE. Yavapai Regional Medical Center (YRMC) is a not-for-profit, community-hospital system located in North Central Arizona in Yavapai County. In 70% of organizations, most new hires – and especially remote workers – are not highly engaged, Brandon Hall Group’s 2018 Engagement Study reveals. The webinar will also include case studies featuring onboarding success stories through technology and innovative programs. Case StudySince being founded 14 years ago, Docusign has come a long way. The San-Francisco based company with a digital solution to document signing has found great success, now being used by over 100 million users in 188 countries. The concept is simple: replace printing, faxing and scanning documents for signing with an easier, faster digital solution that means no time is wasted and everything is simple and secure. Recommended Read: Visier Case Study: City of Edmonton Case ]. 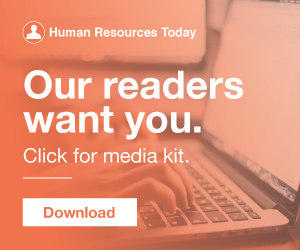 The post Using HR Analytics for Workforce Cost Management [Case Study] appeared first on Visier Inc. The post Sonoco Case Study appeared first on Stories Incorporated. Case StudySonoco. Career site refresh in six weeks or less. Since its founding in 1899, Sonoco has grown immensely to include 16 diversified packaging solutions businesses worldwide. American Gas Products (in Boston, Mass.) is a leading supplier of industrial, microbulk and medical gases, welding supplies, and equipment. The company has 60 employees across six states. Problem: Paper timesheets are ineffective. In this HR transformation case study, Jean-Michel explains why he chose PeopleDoc to address this issue and enable all stakeholders to take an active role in end-to-end HR Service Delivery. Download the case study to learn more Needing a more efficient way to manage hours and track incidents, LJ Ross turned to Paycor. Now, with Perform Time , supervisors are no longer burdened with reviewing time cards and managing attendance policies by hand. Being back in the practitioner folds, one of the biggest challenges is finding case studies in HR and recruiting. I liken case studies to that girlfriend who always has the answer and recommendation for a recipe, makeup or just a solution like no one else. To learn more, read our Unum Case Study here. The post Effectively Scaling Manager Development: A Case Study appeared first on Everwise. This scathing comment from a recent study: “College was a total waste of time and money. What if schools had some sort of HR education curriculum that required—or at the very least suggested—its students study from those actively participating in the field ? Case Study Workforce Management Workforce SchedulingLearn how Ladbrokes Coral Group has reduced labor costs by millions with WorkForce Forecasting and Scheduling. Case StudiesThe following article appeared in the January 15 issue of What's Working in Human Resources and is a Q&A between the publication and Kym Cross, HRIS & data analysis director and Geoff Gerks, CHRO, of G4S Secure Solutions in West Palm Beach, FL. For a deeper look at the Steelcase program, read the full case study. The post Case Study: Steelcase Uses Onboarding Technology for Leadership Development appeared first on SilkRoad. Unlimited possibilities. 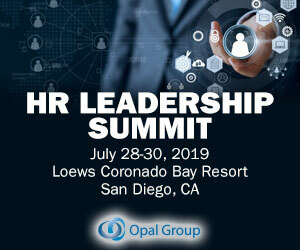 Case Study Research Absence Management Compliance Payroll Time and Attendance Workforce Management Workforce SchedulingLearn how the City of Roseville recovered costs from billing out labor totaling $2.5 million over five years.